But what does unprivileged belligerents really mean? Well, ‘unprivileged belligerents,’ according to veteran war corresponded Don North, simply replaces the term ‘unlawful combatants’ and that journalists, therefore are looked upon as nothing more than those in the ranks of Al Qaeda. Based on this assessment, broad interpretation and hazy wording, journalists could not only be asked to leave military bases but they could also be detained for perceived wrongdoings. The “relaying of information,” according to the new manual, may be construed as such an act. Censor journalists’ work? Really? This does not sound like the ‘America The Free’ I remember. Press freedoms are vitally important to America remaining free. Without them we will become no better than a dictator state. When the Pentagon begins to crack down and round-up all journalistic work to be reviewed and possibly censored then we will be playing in a whole new ball game and not one for the betterment of American citizens. Will we become nothing more than the New China or New Russia? When we begin to censor and impede on journalistic freedoms then we start chipping away at the very fabric this great nation was built on. Just where that chipping will lead is a road I, for one, don’t wish to travel. The Department of Veteran Affairs has known since January that the cost of medications was rising and that it would cause a tremendous financial loss. They have even discussed rationing expensive drugs “after asking Congress for $500 million to pay for the same drugs,” according to Washington Examiner. It is a contagious liver disease caused by the hepatitis C virus (HCV). It can be a mild illness lasting a few weeks in up to 15% of individuals. • It can lead to chronic (lifelong) illness that can cause liver damage, cirrhosis (scarring of the liver), and liver cancer. It is spread mainly through contact with the blood of an infected person. Commendably, Gilead has already negotiated discounts for the VA, as much as 40%. The VA, however, is still in need of funding, for Hep C drugs, and more but Congress doesn’t seem happy with the tactic the VA is using to go about getting this funding. 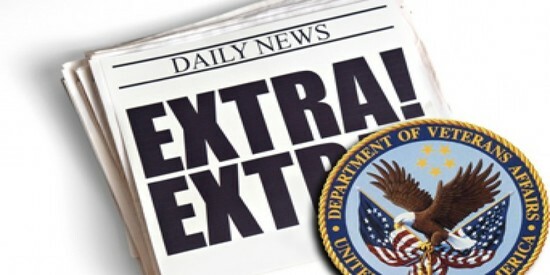 An internal plan, however, had already been made by the VA to do just that, according to the Examiner. VA Employees had apparently warned Gibson of the possible financial issues in January but Gibson denies these allegations. The VA, once again, finds itself in the spot light and has some explaining to do. Rationing needed medications for our veterans…Really? VA, did you really plan to do that? First published by Lorra B.